Light fast solvent based stain for interiors. XM7100 are solvent based wood stains for spray application. Area of use: flat parts, turned parts, kitchen doors, profiles. 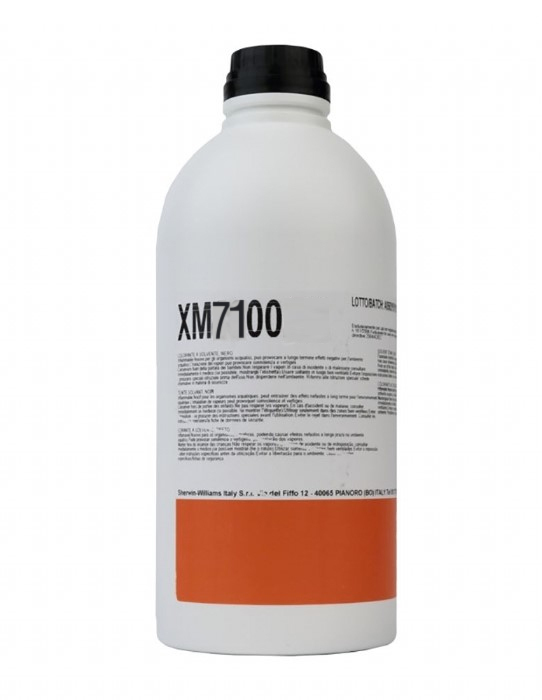 XM7100 can be used to obtain pastel colours by mixing XM7100/13 (white) with other colours. Colours available: yellow, white, dark blue, flame red, bright red, green, violet, black, antique walnut, mahogany.